Ever wondered what happened to Hillary’s Deleted Emails? We all have! 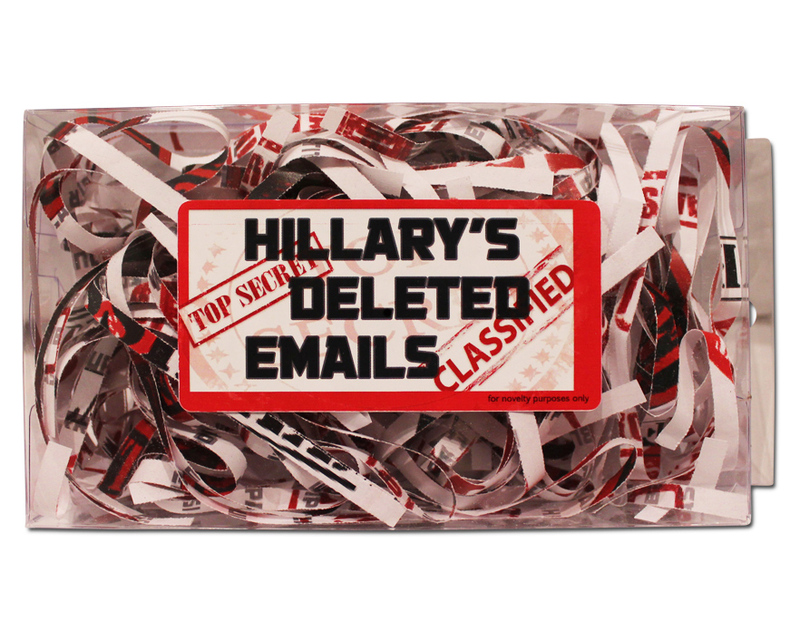 Give your friends and family a fake piece of history with Hillary’s Emails Gag Gift! 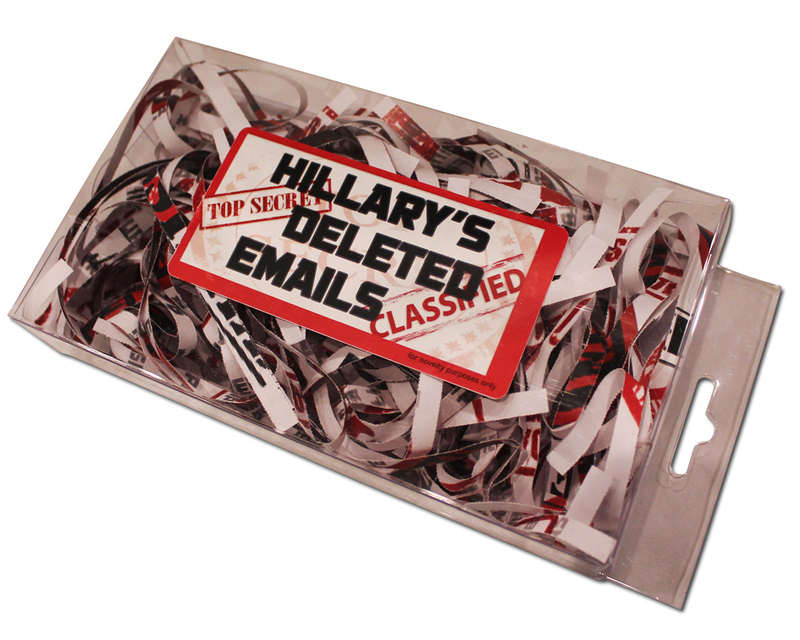 This hilarious novelty gift will be a funny reminder of one of the most talked about topics in Presidential Election 2016 – Hillary’s Deleted Emails. You can’t turn to any media source without hearing about this major political snafu, so why not get a laugh out of it? 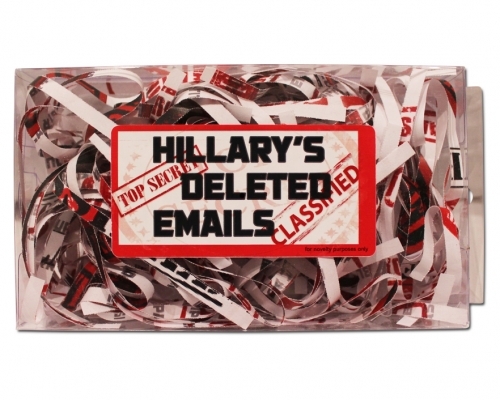 Shopping for a Hillary Clinton Gag Gift loaded with sarcasm? Hillary’s Deleted Emails is sure to bring a giggle to every Republican and sour pout to every Democrat on your shopping list. 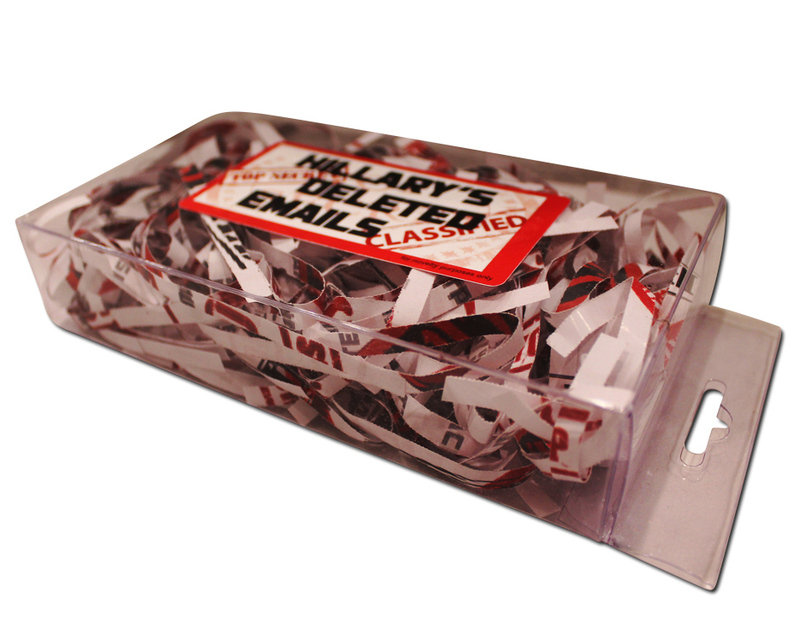 The clear gift box is marked with a classified label which reads “Hillary’s Deleted Emails” and contains shredded fake documents that have absolutely zero top secret information on them, because nobody can really find Hillary’s emails, and you know they’ve tried. 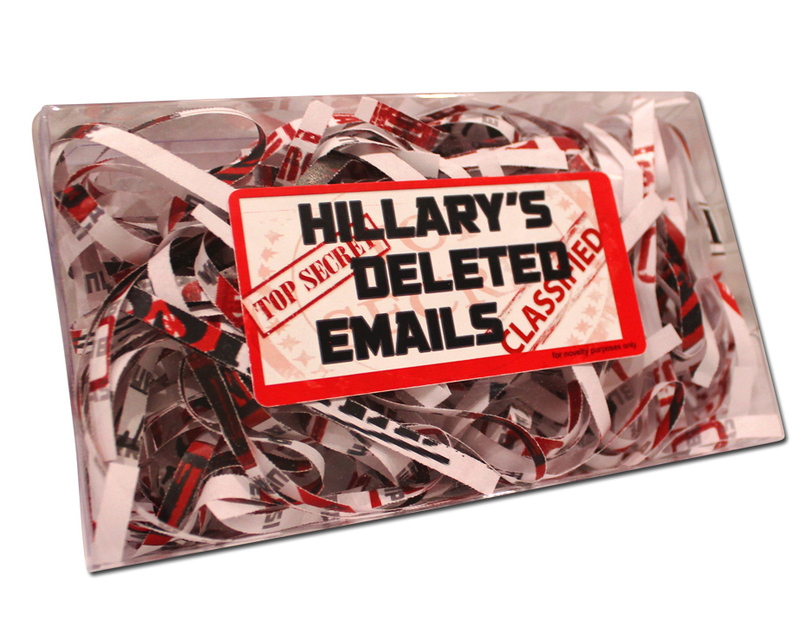 NOTE: This funny political gag gift if strictly for novelty purposes and contains absolutely no classified documents. Save your time and your tape.